At nearly the last hour, Israeli prime minister Benjamin Netanyahu finalized the smallest possible coalition possible. After Netanyahu’s foreign minister Avigdor Lieberman resigned on Monday and announced that his Russian-interest, secular nationalist Yisrael Beiteinu (ישראל ביתנו‎, ‘Israel is Our Home’) would head into opposition, it left the prime minister scrambling to build a government with a Wednesday night deadline looming. 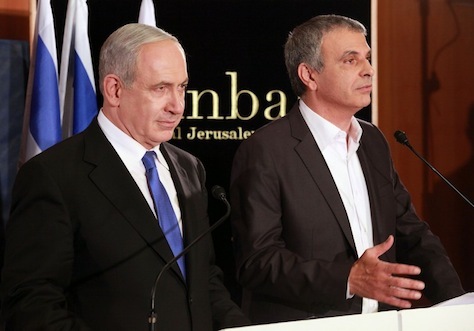 Having secured agreements with Moshe Kahlon’s center-right Kulanu (כולנו‎, ‘All of Us’) and with two ultraorthodox parties, it left Netanyahu and his center-right Likud (הַלִּכּוּד‎) dependent on the final right-wing party, Bayit Yehudi (הבית היהודי, ‘The Jewish Home’) to form a working coalition. Kahlon, a former Likud communications minister, will serve as the government’s finance minister, is particularly concerned with policies to reduce inequality and rising domestic prices. With just eight seats (four fewer than in the previous Knesset) and hard feelings between Netanyahu and the Bayit Yehudi leader, Naftali Bennett, Lieberman’s decision suddenly gave Bennett much more negotiating power. Without Bennett, Netanyahu would not have a majority; Israel’s president Reuven Rivlin could thereupon turn to the leader of the opposition, Isaac Herzog, to seek an alternative government coalition. The result was a poisonous 48 hours of negotiation between the Netanyahu and Bennett camps, with Bennett angling to win the all-important justice ministry for Ayelet Shaked and, perhaps, improving his own ministerial portfolio from education to the foreign ministry. With Likud’s ranks already grumbling about handing over the education ministry to Bennett, Netanyahu’s allies were downright furious — and embarrassed — to cave to Bennett on the justice ministry. It’s an important post because it will allow Bayit Yehudi to demand changes to the Israeli supreme court and it will give Bayit Yehudi the power to shape the appointment of Israel’s next attorney general. Bennett, who served as Netanyahu’s chief of staff briefly in the 2000s, headed a pro-settler organization in the West Bank before assuming Bayit Yehudi’s leadership in 2013. The religious, right-wing Zionist party is in favor of greater settlements, and Netanyahu’s lurch rightward during the election campaign was designed to steal its voters to Likud’s ranks — a gambit that seemed to work. In Netanyahu’s previous government, Bennett served as economy minister, though he enhanced his profile during the Israeli offensive in the Gaza strip in the summer of 2014, criticizing Netanyahu for not taking even stronger action to thwart Hamas. To make matters worse, Bayit Yehudi is not entirely united behind Bennett’s leadership, and members of the even-harder-right ‘Tekuma’ faction were demanding that their leader, Uri Ariel, be given the justice portfolio instead of Shaked. For now, however, Ariel seems to be happy with the agricultural ministry. Netanyahu still has another week to win a formal vote of confidence from the 120-member Knesset. But Netanyahu’s first task will start immediately — to build out his existing coalition on an ASAP basis so as to reduce the possibility of political blackmail or even to push Bayit Yehudi out of government altogether. The most tantalizing option would be for Netanyahu to convince Herzog to form a ‘national unity’ government with the Zionist Union (המחנה הציוני‎), a coalition between the center-left Labor Party (מפלגת העבודה הישראלית) and a bloc of moderates led by former justice minister Tzipi Livni. Netanyahu purposefully held open the foreign ministry position with an eye to convincing Herzog to join a national unity government. But if Herzog cannot be convinced to do so within the months ahead, Netanyahu might try to split off a handful of Labor hawks or the faction loyal to Livni, who most recently served as Netanyahu’s justice minister between 2013 and 2015. Netanyahu’s former finance minister, Yair Lapid, is adamant that he will not return to an alliance with Likud, especially after Netanyahu agreed to the ultraorthodox parties’ request to revisit the crackdown on exemptions from military service for religious students. But that doesn’t mean Netanyahu can’t try to poach several members of Lapid’s centrist Yesh Atid (יש עתיד, ‘There is a Future’). His final option, and perhaps the easiest of all, is to find a way to soothe his onetime ally Lieberman’s concerns and bring Yisrael Beitenu back into government. 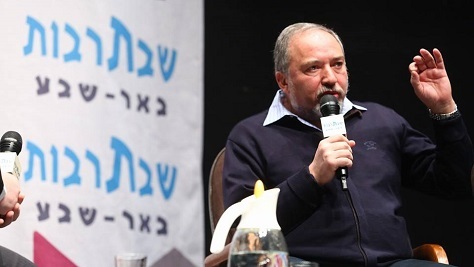 Foreign minister Avigdor Lieberman was once so close to Israeli prime minister Benjamin Netanyahu that the two political leaders joined forces to fight the 2013 elections on a joint ticket. When Lieberman stepped down as foreign minister in 2012 pending resolution of charges of fraud and breach of public trust, Netanyahu held the foreign affairs portfolio himself, with every intention of re-appointing Lieberman to the position when Lieberman was subsequently cleared of the corruption-related charges. That makes it all the more spectacular that Lieberman announced Monday that he was resigning his office and that his party, the secular nationalist Yisrael Beiteinu (ישראל ביתנו‎, ‘Israel is Our Home’), would not be joining Netanyahu’s next governing coalition, throwing the prime minister’s plans for a third consecutive term into disarray. With 48 hours to go before Netanyahu has to assemble a government, he now has to deal with the loss of six seats that have reduced his expected coalition to a bare majority of 61 of the Knesset’s 120 seats — not to mention a sudden fight to replace Lieberman as foreign minister. Netanyahu’s decision, rushed though it may be, will set the tone for Israel’s troubled relations with the United States and with Europe. Moreover, without Yisrael Beitenu, Netanyahu’s government could collapse on the whim of a single MK, including hard-line allies on the Israeli right. That’s renewed the growing speculation that Netanyahu might be forced, either now or in coming months, to seek a national unity government with the largest opposition party, the Zionist Union (המחנה הציוני‎), a coalition between the center-left Labor Party (מפלגת העבודה הישראלית) and a bloc of moderates led by former justice minister Tzipi Livni. The Zionist Union’s leader Isaac Herzog reiterated his refusal, however, to join a Netanyahu coalition. Though Netanyahu won a two-week extension to form a government from Israeli president Reuven Rivlin in late April, Herzog will likely have his chance to form a government if Netanyahu fails to do so before the May 7 deadline. Photo credit to Marc Israel Sellem / Jerusalem Post. After Israeli president Reuven Rivlin finished talks with all of the country’s parliamentary parties on Monday, Israeli prime minister Benjamin Netanyahu was set to amass a governing majority in a six-party coalition that will easily prove more right-wing than either of Netanyahu’s governments following the 2009 and 2013 elections. While coalition talks are not likely to begin until Wednesday, when Rivlin formally asks Netanyahu to begin negotiations, the contours for the next government seem clear. It’s worth taking a moment to state just how right-wing the ‘Netanyahu IV’ government will be. In 2009, when Netanyahu returned to the premiership after a decade-long stint in the wilderness, his coalition included a former center-left prime minister, Ehud Barak, and the other traditional Israeli party, the Labor Party (מפלגת העבודה הישראלית). In 2013, after a long round of negotiation talks, Netanyahu ditched the ultraorthodox haredi parties in favor of two moderates — Tzipi Livni, a centrist and former foreign minister and Yair Lapid, the leader of the secular centrist Yesh Atid (יש עתיד). Lapid, who would serve for two years as finance minister, demanded that Netanyahu eschew the haredi parties, especially in light of a contentious debate about the exemption of haredim from the Israeli Defense Forces. Lapid, Livni and the Labor Party leader Isaac Herzog have all ruled out joining a Netanyahu government, to the dismay of centrists (including, allegedly, Rivlin) who would prefer a more balanced government with a ‘national unity’ flavor. As the results started to trickle in early Wednesday morning (Jerusalem time), the world started to get a better sense of the verdict of Israeli voters in the country’s second general election in three years. Exit polls that initially showed the two leading camps tied turned out to be wrong — the results showed that Israeli prime minister Benjamin Netanyahu’s center-right Likud (הַלִּכּוּד‎) won a bloc of 30 seats in the Knesset (הַכְּנֶסֶת), Israel’s unicameral parliament. 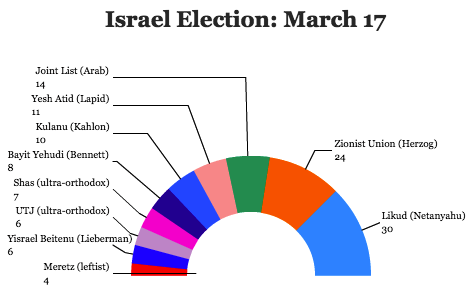 That’s in stark contrast to polls that showed that the Zionist Union (המחנה הציוני‎), a merger between Isaac Herzog‘s center-left Labor Party (מפלגת העבודה הישראלית) and a bloc of moderates led by former justice minister Tzipi Livni, would emerge as the largest party. It instead won just 24 seats. The right-wing government is in danger. African-American voters are coming out in droves to the poll. Left-wing organizations are busing them out. We are in a national security state of emergency, we have only you. Get out to vote, bring your friends and family, vote Republican in order to close the gap between us and the Democrats. With your help and with God’s help. If any politician in the United States made the statement above, he or she would be hounded out of office and out of public view — and rightly so. Remember that Netanyahu here was referring to Israeli Arabs, not Palestinians in the West Bank or Gaza. He’s referring to the 20% (or so) of Israeli citizens that are Arabs, many of whom are Muslims, but some of whom are Druze or Christian as well. It’s not a message that rests well with the notion that Israeli democracy is healthy and thriving. Though it may bring more right-wing voters to the polls, it seems even more likely to arouse Israeli Arab, long among the most apathetic voter groups in the country, to support the newly united Joint List, a merger of all four Arab parties, running together for the first time under the leadership of socialist attorney Ayman Odeh. Netanyahu’s verbal strike comes hours after he revoked his formal support for a two-state solution to Israeli-Palestinian peace. Netanyahu is stuck in a fierce battle in his bid for reelection against the center-left Zionist Union, a merger of Isaac Herzog’s Labor Party and a faction led by former justice minsiter Tzipi Livni. 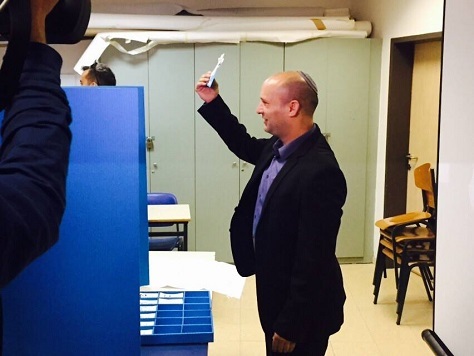 Polls show that the Zionist Union may edge out Netanyahu’s center-right Likud to win the largest number of seats. But that won’t necessarily guarantee a Herzog-led government, which will depend upon days or weeks of coalition consultations with Israel’s many political parties. No matter who wins Israel’s election tomorrow, no party is expected to win more than a fragment of the seats necessary to win a majority in Israel’s unicameral 120-member parliament, the Knesset (הַכְּנֶסֶת). That means that for days and, likely, weeks after the voting ends, Israel will be caught up in the battle to form a new governing coalition. That process will begin as soon as Tuesday, when Israel’s president Reuven Rivlin begins talking to party leaders to assess who should have the first shot at forming a coalition. That individual, whether it is current prime minister Benjamin Netanyahu or Labor Party leader Isaac Herzog, will then have 42 days to build a government that can win at least a 61-vote majority in the Knesset. The bottom line is that Israel and the world could be waiting a long time for a new government, though Rivlin is said to be anxious to speed the process along. That, in part, will depend on Israel’s many parties. Rivlin, previously the speaker of the Knesset and, until his presidential election last year, a member of the center-right Likud, will have some discretion in naming a prime ministerial candidate, but it will almost certainly be the leader whose party wins the most votes in Tuesday’s election (unless a clear majority of other party leaders, over the course of presidential talks, support the second-place winner to lead the next government). 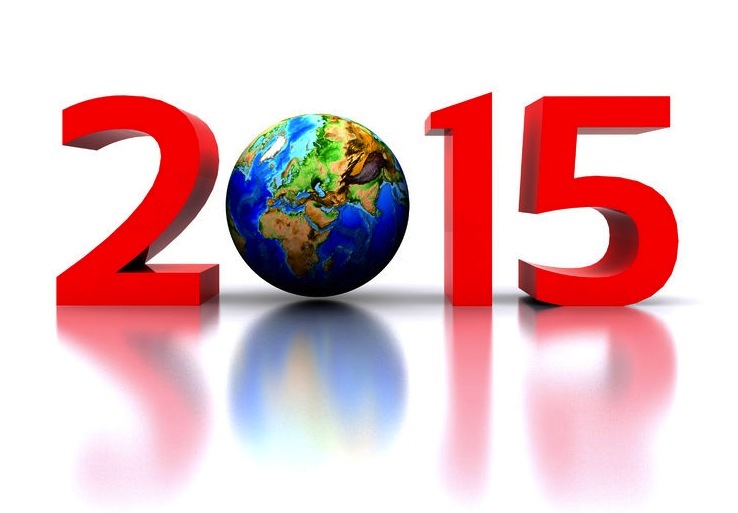 So how to keep track of the various coalition possibilities? 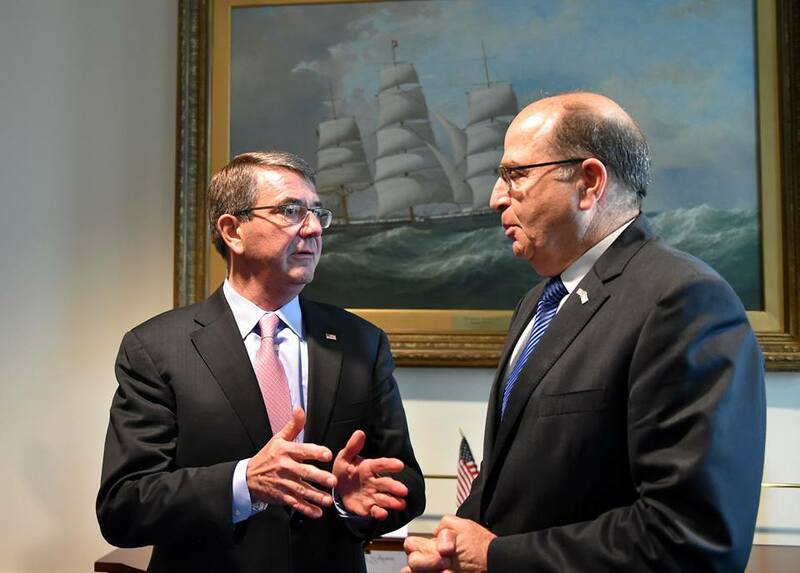 Photo credit to Marc Israel Sellem / The Jerusalem Post. 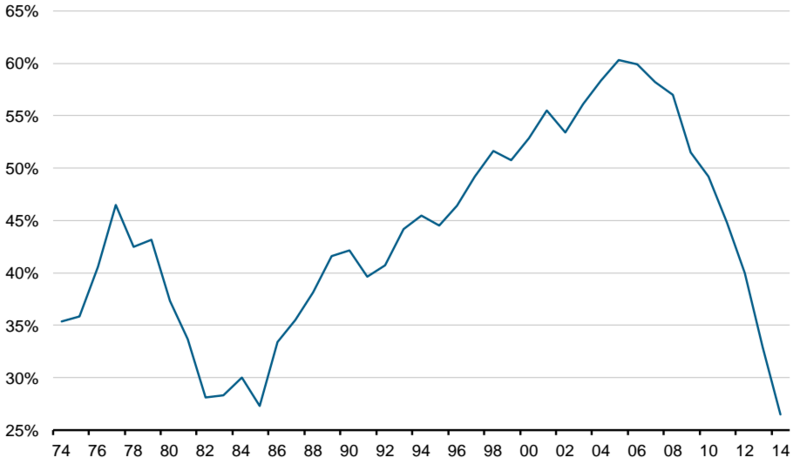 Since the emergence of Shas (ש״ס‎) in 1984, there’s hardly been a government that hasn’t included the ultraorthodox party. In 31 years, Shas has joined the opposition just twice, including a stint between 2003 and 2006. It’s been out of government since 2013, not out of its unwillingness to work with Israeli prime minister Benjamin Netanyahu, who hopes to win a third consecutive mandate on March 17, but because of opposition from Yair Lapid, who joined Netanyahu’s government as finance minister. In the current election, however, a recent split between the two men who have led Shas for the past quarter-century now holds massive consequences for whether Netanyahu will win a fresh mandate as prime minister. The split risks not only diluting the haredi vote in the upcoming elections, but could also complicate the already difficult arithmetic for any leader to achieve a governing majority in the Knesset (הכנסת), Israel’s 120-member unicameral parliament. Ironically, the split on the ultraorthodox right comes at the same time that Israel’s Arab parties have united into a single movement. Aryeh Dery served as Shas’s leader in the 1990s and held several top positions, including minister of internal affairs. He was convicted of bribery in 2000, however, and ultimately served 22 months in prison. 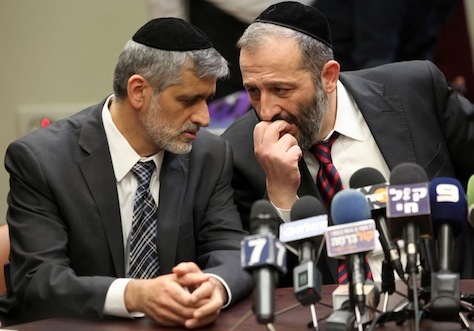 Eli Yishai replaced him as Shas leader and, for the next 13 years, followed Dery’s lead of bringing Shas, more often than not, into government. Yishai (pictured above, left, with Dery, right) served as deputy prime minister under each of Ariel Sharon, Ehud Olmert and Netanyahu. Dery’s return to politics, however, caused a personal rift between the two leaders. Dery muscled his way back to the Shas leadership in 2013, which precipitated Yishai’s decision last December to form a new party to contest the 2015 elections, Yachad (יחד‎). The differences between Dery’s Shas and Yishai’s Yachad are subtle. 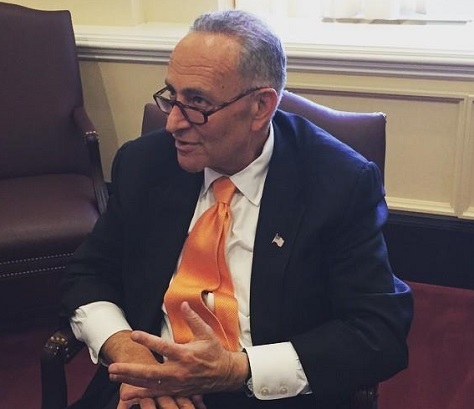 Both parties appeal to the haredi right, and both continue to draw support primarily from Sephardic Jews. Though Shas is widely and accurately described as a party of the haredi, the ultraorthodox Jews in Israel, it is also traditionally a party that appeals chiefly to Sephardic Jews, which hold just a slight majority among Israel’s Jewish population, though the Ashkenazi Jewish population, which has roots primarily in Eastern Europe, has grown, in large part to an influx of Russian Jews after the fall of the Soviet Union. Today, however, the Sephardic label applies not only to the Sephardic tradition that developed on the Iberian peninsula, but to the wider group that includes Maghrebi Jews from north Africa and Mizrahi Jews from the Middle East. RELATED: Who is Isaac Herzog? A look at Israel’s opposition leader. In the current campaign, Dery has emphasized social and ethnic solidarity, with slogans as blatant as ‘Mizrahi votes Mizrahi.’ Nevertheless, Yachad still appeals to core Shas voters, and Yishai has capitalized on the impression that he is the more authentic standard-bearer of the late rabbi Ovadia Yosef, who served until his death in December 2013 as Shas’s spiritual guide. Videotapes emerged late last year of Yosef critizing Dery in 2008 in very harsh terms. But Yachad is also targeting disappointed voters of Bayit Yehudi (הבית היהודי, ‘The Jewish Home’). In joining Netanyahu’s most recent government as economy minister, its leader Naftali Bennett (himself a former chief of staff to Netanyahu) was sure to disappoint some of his most conservative supporters. But Bennett often criticized Netanyahu in the last two years for not being aggressive enough in Israel’s offensive against Gaza, his Jewish Home party sits to the right of Netanyahu’s Likud (הַלִּכּוּד‎) on most issues, and Bennett has been a leading proponent for Jewish settlers in the West Bank. 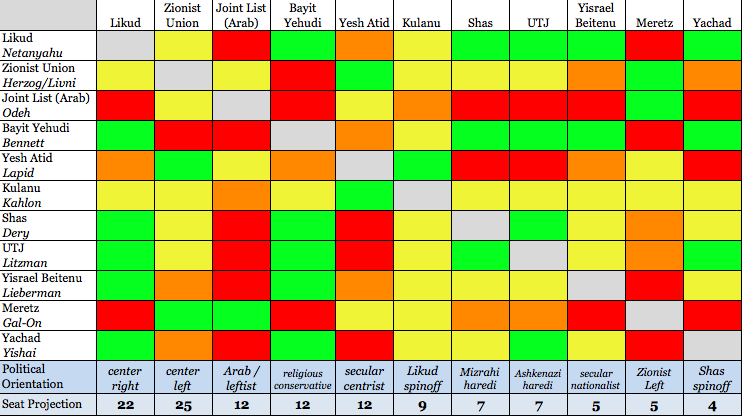 Polls predict that his party will maintain or even improve its 11-seat caucus in the Knesset. Yachad is angling to the right of Bennett, however, and the second member on Yachad’s party list is Yoni Chetboun, a renegade MK who found himself too far right even for Bennett’s Jewish Home. Yishai hopes to become to Bennett what Bennett has become to Netanyahu — a more credible right-wing voice. This constant race rightward among the fragmented Israeli right is one of the chief reasons that Netanyahu is now struggling to hold the premiership, and it explains why his recent speech in Washington was aimed more toward right-wing voters in Israel than to moderates or even to US politicians. While Yishai declared his support for Netanyahu’s premiership back in December, Dery has been more coy about his intentions. In a country where post-election coalition-building has become just as important as elections themselves, promises aren’t worth much after March 17. 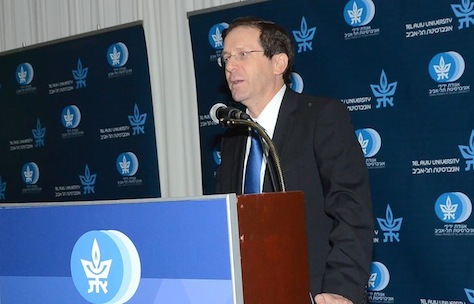 Both parties would clamor to join a broad-based unity government that includes both Likud and the center-left Zionist Union (המחנה הציוני‎). Perhaps the worst-case scenario for the religious parties is a split, whereby Dery ultimately backs Herzog and Yishai backs Netanyahu. That could dilute the once-formidable leverage that the Sephardic haredi once deployed through Shas. More importantly for international affairs, that could even make it impossible for either bloc to amass a majority. Washington, it’s not always about you. 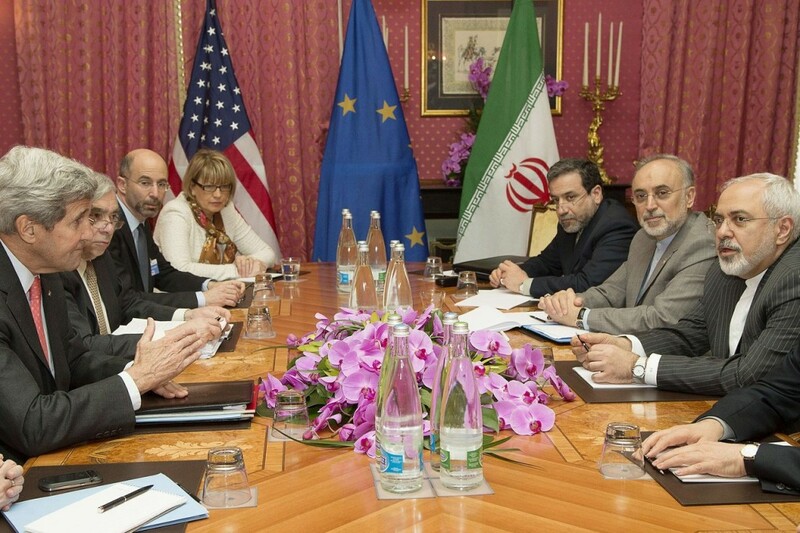 Yes, Netanyahu wants to stop Iran from becoming a nuclear power, and he’s made it clear that he will stop at nothing to thwart Tehran from enriching even the tiniest bit of uranium in its quest to develop its nuclear energy industry — to say nothing of a nuclear-armed Iran. Yes, Netanyahu is a political foe of the Obama administration and, time after time, he’s gone out of his way to indicate his disapproval of its approach to Iran and other issues central to Israeli regional security. Netanyahu has increasingly developed common cause with the US right, and he has a fervent supporter in Sheldon Adelson, one of the wealthiest Republican donors in the United States (he almost single-handedly bankrolled former speaker Newt Gingrich’s 2012 presidential bid) and a top Netanyahu financier in his own right. But neither of those are the real reason that Netanyahu is so eager to speak before the US Congress, now entirely controlled by the Republican Party. Nor will Netanyahu be dissuaded by arguments that it’s a fantastic breach of protocol that will make an already tense relationship with the Obama administration worse. After all, Netanyahu practically endorsed Mitt Romney, Obama’s Republican challenger for the presidency in 2012, and he easily won his own battle for a new term as Israeli prime minister two months after the American presidential election. The potential of alienating a sitting US president certainly didn’t harm Netanyahu’s own domestic political prospects two years ago. The fact that Netanyahu is one of the few US allies who so often publicly contradicts the US president might even boost his standing among Israeli voters. 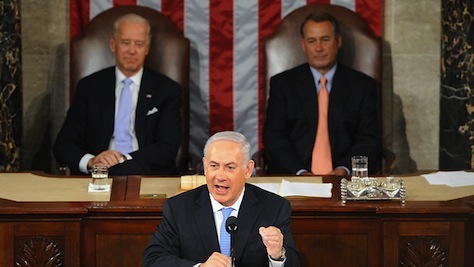 The real impetus for Netanyahu? After weeks of tension, Israeli prime minister Benjamin Netanyahu sacked justice minister Tzipi Livni and finance minister Yair Lapid on Tuesday, accusing them of trying to lead a ‘putsch’ against him, and the Knesset (הכנסת), Israel’s unicameral parliament, has now voted to dissolve itself in advance of snap elections in early 2015. Just two years and two months after Israel’s last parliamentary election, Israel is set to go to the polls on March 17, two years sooner than the current parliamentary term ends. Despite Netanyahu’s bravado in triggering early elections, neither he nor Lapid nor Livni are assured of increasing their share of the vote. 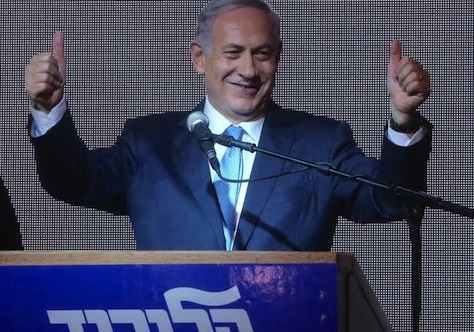 While Netanyahu remains the favorite to return as prime minister as the head of his center-right Likud (הַלִּכּוּד‎), he will be vying to win a fourth term leading government after two of the toughest years of his political career. Though the election is likely to focus, increasingly, on domestic issues, it follows this summer’s ‘Operation Protective Edge’ against Hamas in the occupied Gaza strip that lessened global support for Israel. It also follows Arab-Jewish violence in Jerusalem in recent weeks, and after Sweden formally recognized Palestine’s sovereignty in October (as the French parliament voted on the issue earlier this week). Nevertheless, unless terrorism or religious violence increases, the Palestinian question will invariably fade from the agenda of the country’s leading politicians — for at least the next four months. 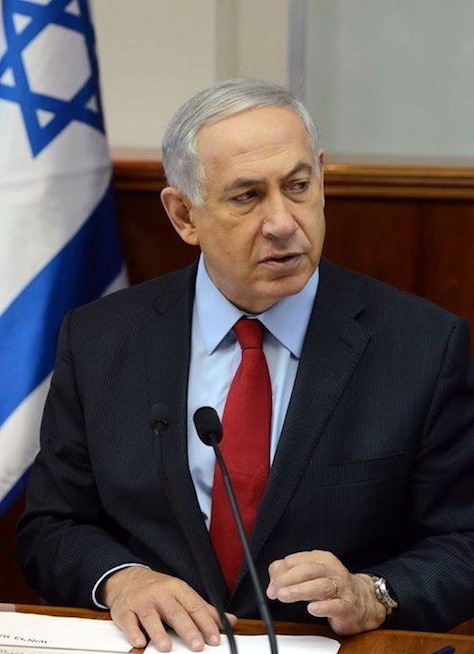 Accordingly, the election will be a referendum on Netanyahu’s leadership over the past two years, including the management of his coalition, the struggle of Israel’s middle class, and global matters like his handling of the Gaza war and testy relations with the United States and the Obama administration. Critics from both the left and right will target Netanyahu during the 2015 campaign. Moreover, if Netanyahu falls short next March, his position within Likud is even more tenuous after he wasted precious political capital attempting (and failing) to block former Knesset speaker Reuven Rivlin’s presidential candidacy.